on the 26 October, 2014. Give it a few more months and we’ll all be chowing down on kimchi and bibimbap, says Torie True. London – with each passing month, another cuisine becomes mainstream. The strength of the city is to adopt new flavours and influences. A case in point being Peruvian food, which has been given the spotlight of late, helped in part by Martin Morales, founder of popular Peruvian haunt Ceviche. Similarly, Mexican food got a leg up in the capital thanks to Thomasina Miers. Diners are enjoying new taste sensations and are craving new and exciting foods to challenge their palates. Step forward, Korean food, which – for the majority of westerners – is still virgin territory. The vast majority of Korean restaurants in London are in the not so trendy New Malden – home to over 20,000 Koreans. The area is bursting at the seams with Korean BBQ eateries, tempting diners with dishes such as bibimbap (mixed rice), bulgogi (marinated BBQ beef) and yangnyeom tongdak (seasoned fried chicken). Even the names of the dishes have an irresistible ring to them. However it takes a lot to persuade a someone who doesn’t reside there to arrange a special trip to the area to sample an unfamiliar cuisine. New Yorker Judy Joo has seized this opportunity and will be launching her very own Korean restaurant, Jinjuu, in Soho this November. She is teaming up with her former head chef Andy Hales and sous-chef Jamie Garbutt. The restaurant will be more accessible and I’m expecting it to catapult Korean food into the mainstream. In addition to opening a restaurant, she will also present her own cooking programme on TV, Korean Food Made Simple. Before we know it, we will all be making our own kimchi, marinated in the addictive Korean gochugaru or spiced red pepper flakes. Kimchi is eaten as an accompaniment for almost all savoury dishes in Korea and once you have a taste for it, you too will be hooked. Kimchi has already become trendy in certain foodie circles but my hunch is that this is just the beginning, and it won’t be long before everyone will know about this Korean side dish. The street food scene is always a good barometer of where things are heading. In that vein, there are exciting champions of Korean food in abundance. First up is Joo Lee, founder of Korrito, which can be found at Southbank, Boxpark in Shoreditch and Kingston. Lee adds her own twist to Korean food by offering Korean burritos and everything in between, from wedding Korean food to Mexican. The result is very pleasing. Next comes the larger than life Galbi Bros whose mantra is to ‘bring trendy Korean food to London’. While maintaining Korean authenticity at the core, they offer Korean burgers with a western twist complete with lashings of Korean galbi marinade or gochujang sauce. They can be found either by Tower 42 or Urban Food Fest on Shoreditch High Street – happily they even offer home delivery. 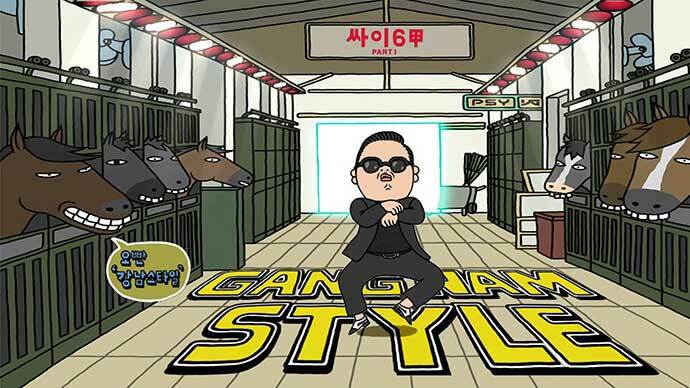 The Galbi Bros have even done a spot of film-making with some amusing send-ups of Psy’s Gangnam style on YouTube. A husband and wife team has set up another Korean burger joint in Exchange Square in the City called The Busan BBQ, and, if their queues at lunchtime are anything to go by, they will hopefully be encouraged to set up other outlets around town over the coming months. Choi Boys are also helping spread the Korean love at the Wild Card Brewery in Walthamstow, where they offer up Korean comfort food. But it’s not just London that’s getting a slice of the action; north of the border, in Glasgow, is Kimchi Cult, serving up Korean style cult food. The rise of Korean food is also aided and abetted by celebrity endorsements whether that’s Michelle Obama tweeting her kimchi recipe or Gwyneth Paltrow, along with her pal Lee Gross, showing the world on YouTube how to make bibimbop. Chefs Gizzi Erskine and Jordan Bourke are also strong believers that Korean food is the way of the future and that taste buds come alive when sampling the deeply complex flavours that make up Korean food. The next twelve months will see Korean food taking that bold step from unexplored cuisine for the majority, to one that is accessible for all. I for one will be making more trips to the legendary Korean food supermarket, Korea Foods in New Malden to stock up on supplies.